Parkitect: The Perfect Example of How Early Access Should Be Used | Nerd Much? If you’ve been following this blog for more than just a few months, you might have noticed that we love indie games. And, on our list of the top 50 upcoming indie games that were/are scheduled to be released in 2016, one game has been sitting in my own personal top five since its announcement: Parkitect. 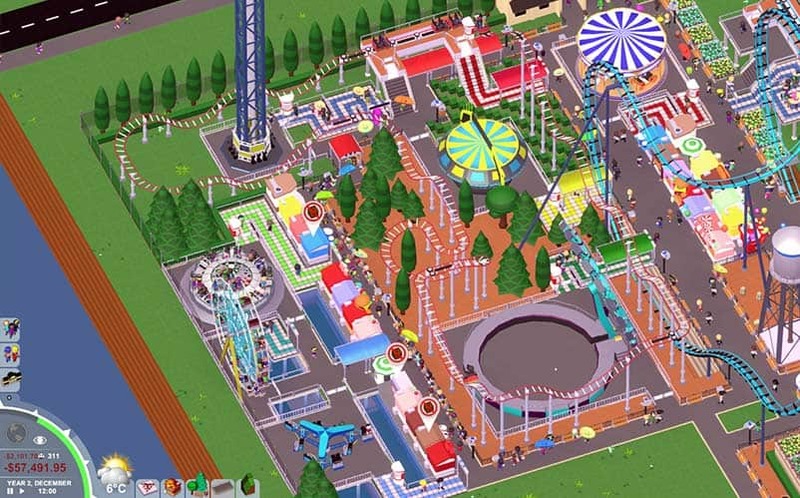 Parkitect is a theme park simulation game that aims to take the ideas in Rollercoaster Tycoon and Theme Park and expand and tweak them for today’s world and technology. The developer, Texel Raptor, originally sought funding on Kickstarter in 2014, and in early May, the team (Programmer Sebastian Mayer, Artist Garret Randell, and Sound Designer Gordon McGladdery) sent the game live on Early Access via Steam (it now has a “Very Positive” rating). And after playing the game in its early Alpha state (currently Alpha 3a as of July 3rd), it’s clear that this is one of those rare Steam games that is using Early Access as it was originally intended: to make the game better. So many games on Steam’s Early Access platform have a certain aura about them that feels like the developer is just looking for money. Remember The War Z? It overpromised and underdelivered. Remember Godus? Like most Peter Molyneux games, it overpromised and underdelivered. How long is DayZ going to be in Early Access? There are also horrible stories about devs taking money and running, but those devs aren’t even worth a mention. But Parkitect doesn’t aim to be a cash grab, and it certainly doesn’t feel that way in the least. It isn’t overpromising or underdelivering; it has the perfect balance of promise and updates. It’s not giving you a base game and asking you to purchase add-ons with microtransactions before it’s even fully released. In fact, there are no microtransactions at all (immediately a +1 for a game that could easily become a microtransaction nightmare). Instead of feeling like it’s trying to take your money, Texel Raptor is wholly invested in delivering early adopters with weekly updates about exactly what the team is working on and when to expect new updates via their devlog updates. Parkitect also has good core gameplay on its side, as there’s nothing really broken about it. Sure, it could use some more optimization of the Unity engine, but it’s not so bad that it’s unplayable like in some other games (and the developers recently noted that they’re working on a significant update to fix some of the minor issues/bugs in the game’s current state). In fact, in my 30 hours playing the game so far, I’ve only crashed once (and it was actually due to a mod, not anything contained in the core game itself). But, my point is, since the game already has a good core, those who have purchased it on Early Access don’t feel cheated or slighted in any way. Instead, each time that players are told a new update is on the way, the update feels like free DLC (as the majority of it is the addition of new content and mechanics, not just bug fixes). I’ll also note that some of Parkitect‘s Early Access success should be attributed to its great community behind it, many of whom have taken to the Steam Workshop to share their creations (shoutout to retroperspektive especially for his/her Dual Disc creation). 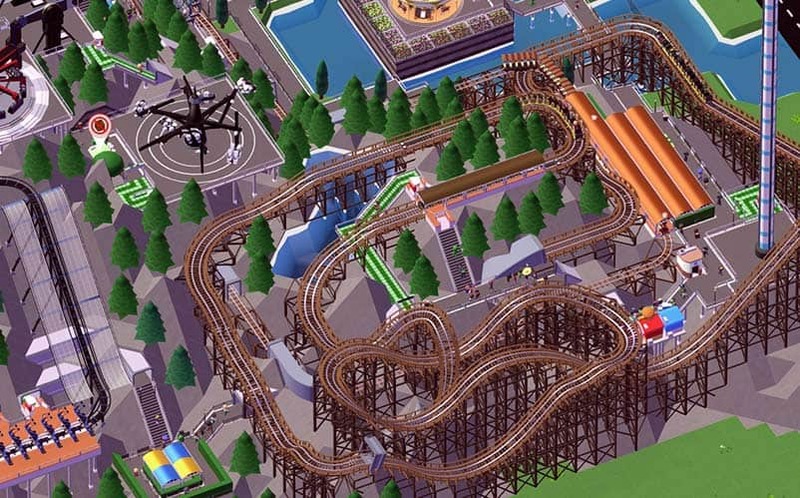 But the fact that this game has a Steam Workshop is essential to its success since players can share their rides and other creations with other users to use in their own parks. It helps keep the game fresh for those looking for more content. Last night, I finally made my first theme park guest puke, and it felt like an achievement. 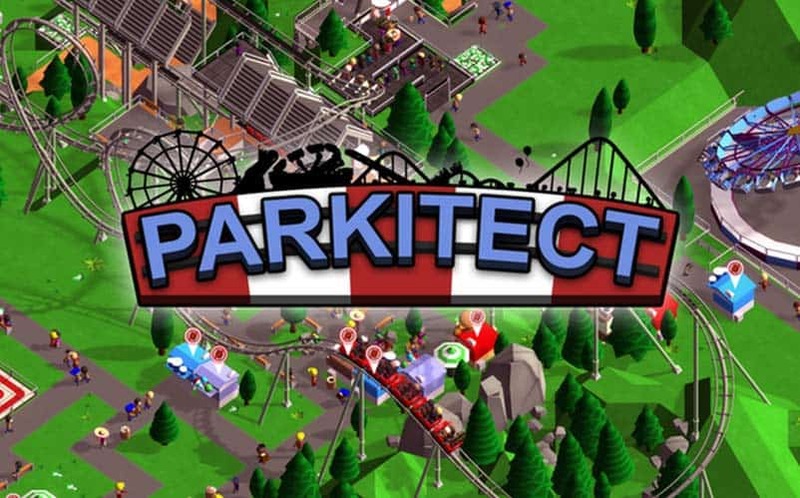 If rollercoaster games and theme park designing is your idea of fun, let me personally recommend that you check out Parkitect on Steam’s Early Access. And, stick with us here at Nerd Much, as we have a feeling this is going to quickly become one popular game worth covering for our readers.